Access One Solutions offers a wide array of ATM and transaction processing solutions. With nationwide technical staff and a variety of processing vendor relationships, we are able to find the ATM processing solution which lends to the most advantageous transaction management for you. 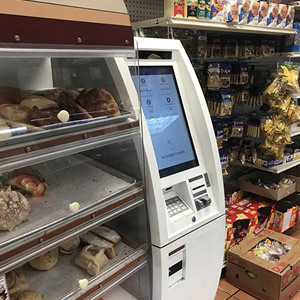 Many businesses would like the benefits and income of ATM ownership but lack the ability to purchase a machine up front. We work with business owners to take advantage of leasing and financing options designed for ATM purchase. At Access One our team has the knowledge, experience and solutions to properly manage your kiosk portfolio. One of the most successful and cost-effective ways to increase transactions is through strategic signage. That is why Access One provides a variety of signage and branding options to help increase ATM visibility. Not every business is the same, which is why we believe that each individual location requires a different ATM solution. Our company will not only assess the need of your business but also provide an ATM terminal to best fit the available space. Providing safe and reliable cash transport is imperative to proper ATM management. Access One is able to provide a full service cash management solution for qualified businesses.